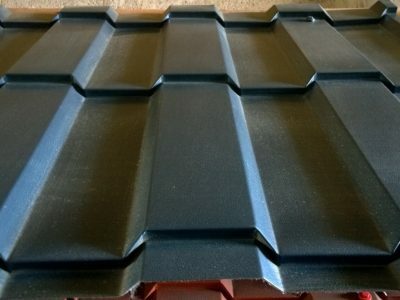 Corrugated bitumen sheets made from bitumen saturated organic fibres. 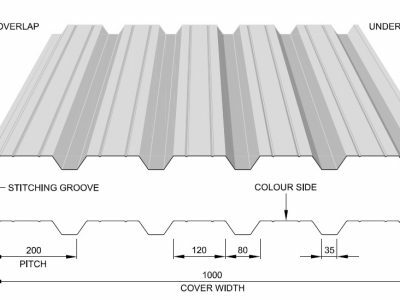 This is ideal choice where acoustic properties are crucial such as stables etc although only supplied in 2m x 950mm size sheets which often means a lot of wastage. 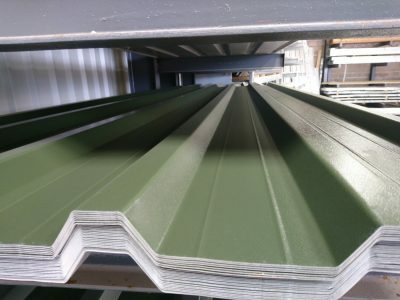 We keep black coloured in stock with ridge pieces and fixings but can be specially ordered in green, red or brown. 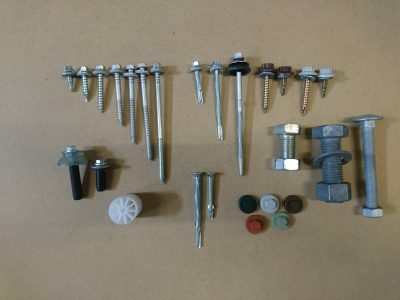 Here at TAS we have an unrivalled selection of fixings and accessories to suit almost any application from the cone bolts to set your building up to the colour caps for the finishing touches. 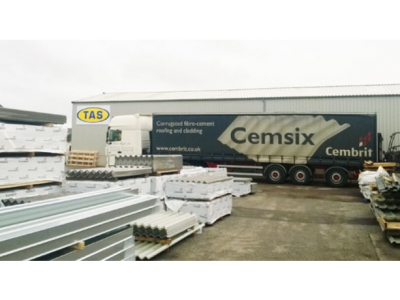 All of our products have been rigorously tested to meet the demands of the trade and resistance to the elements. 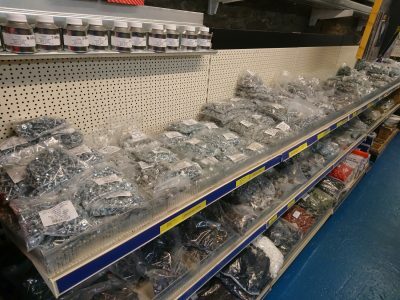 Our range includes the most common and popular fixings, foam fillers, and many non standard items including pipe collars, moulded head fixings, tapes and touch up paints. 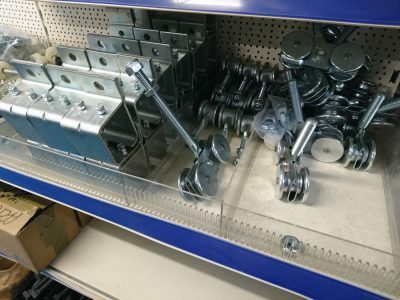 Anything we don’t have…(which is unlikely!) 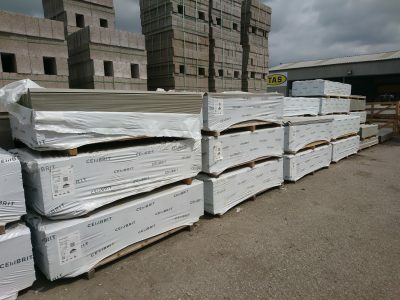 can normally be sourced from one of our reliable supplies within a couple of days. 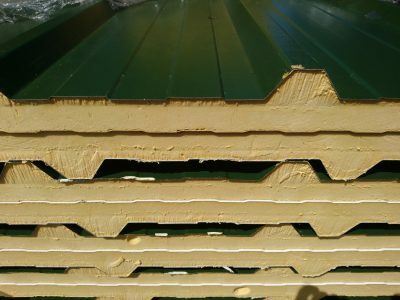 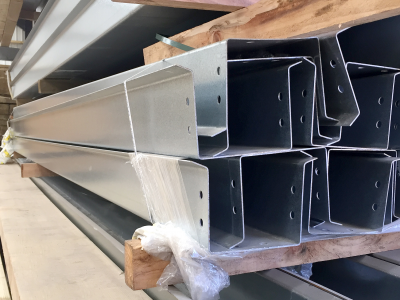 Unlike most of our competitors our timber purlins far exceed the basic ‘wet graded C16’ requirement which are very heavy to handle and due to high moisture content are still likely to deform out of shape when drying. 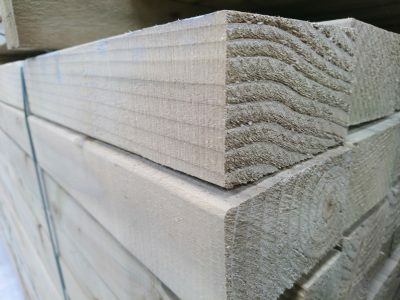 Our timbers are ‘C16 kiln dried’ and are then also planed all round with chamfered edges so are much easier to handle and much less likely to sag. 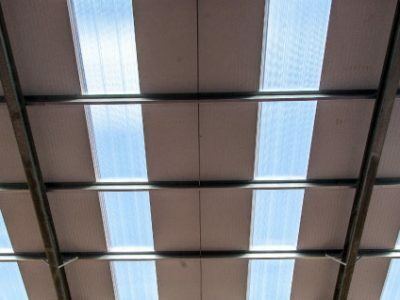 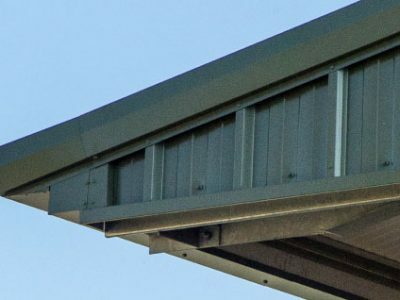 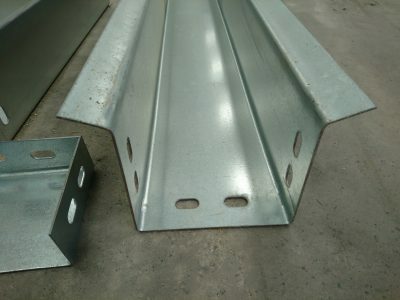 Generally used in commercial and industrial units we are able to offer a comprehensive range of traditional ‘Z’ or ‘C’ purlins, eaves beams as well as more modern ‘sigma purlins’ which require less support due to their unique folded design. 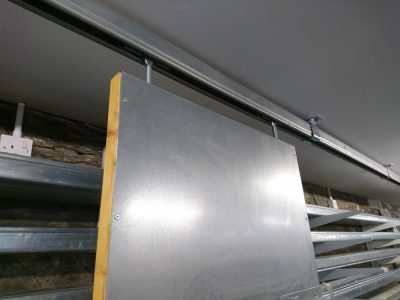 P.C.Henderson has long been acknowledged as the world leader in the design and manufacture of sliding door hardware systems. 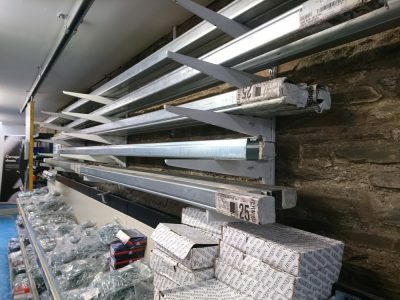 Here at TAS building supplies we stock the ‘301’ series, a heavy duty track for commercial and industrial use, suitable for timber or metal doors up to 400kg each! 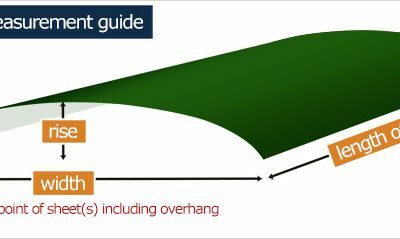 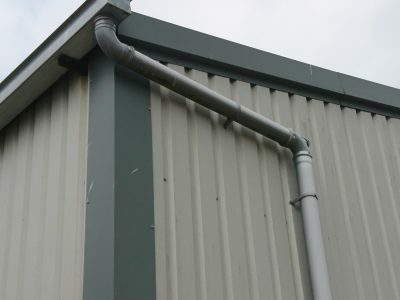 There are many styles and types to choose from when it comes to guttering depending on the job in hand. 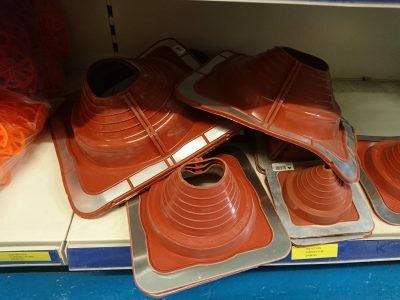 We can offer traditional plastic 4” half round and ‘deep-flow’ in a range of colours, plastic 170mm high capacity ‘deep-flow’ style, galvanised and ‘trimline’. 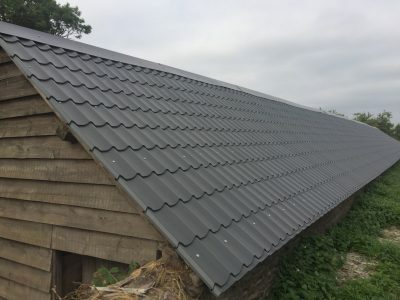 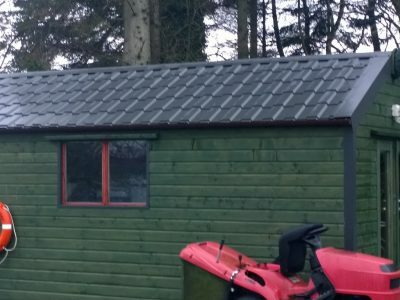 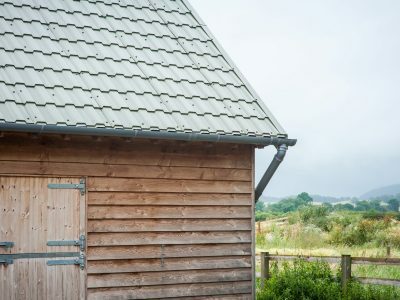 Our galvanised gutter is our own design in a 2mm thickness available ex-stock and extremely popular with agricultural shed fabricators and farmers alike due to is ease of installation, strength and long life expectancy. 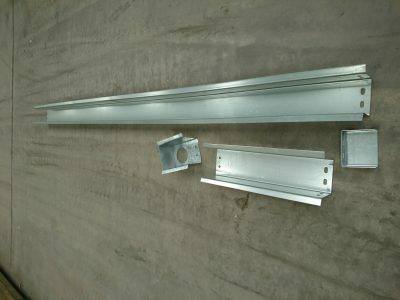 Available in lengths to suit most standard building bay sizes with all required accessories. 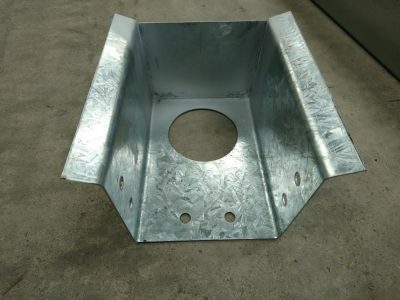 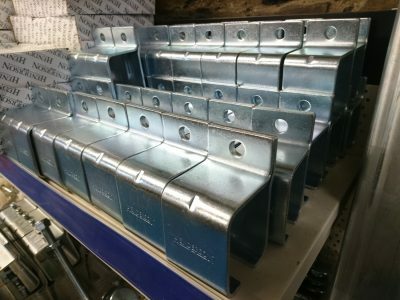 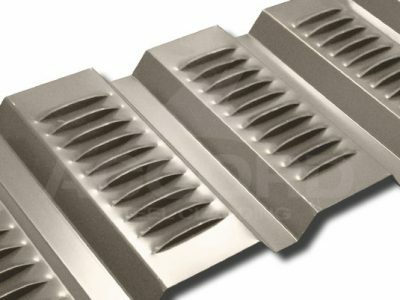 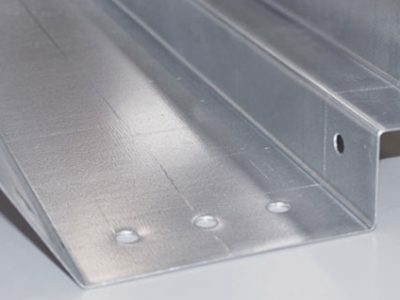 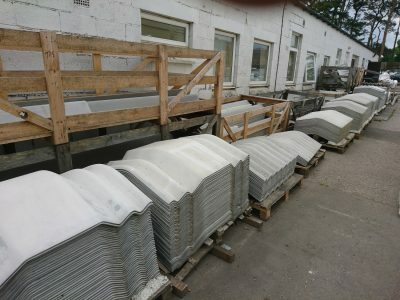 We are also able to offer a ‘made to order’ facility where we can manufacture galvanised gutter folded to suit your requirements and design including valley gutters in a range of thicknesses from 1.2mm up to 2.5mm, 3mm is also available upon request. 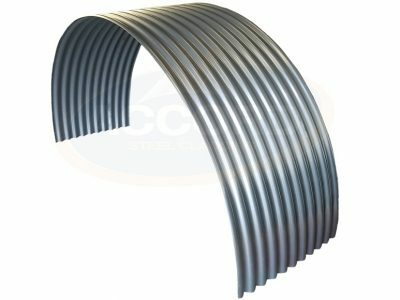 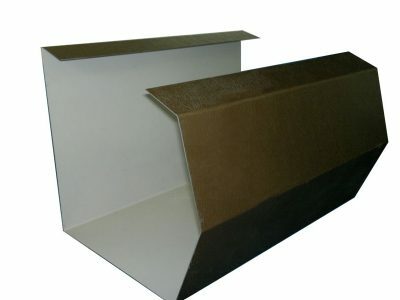 Trimline gutter, also referred to as ‘highline gutter,’ is made from the same materials as the flashings, 0.7mm thick and again although we do have a standard design this can easily be made to order. 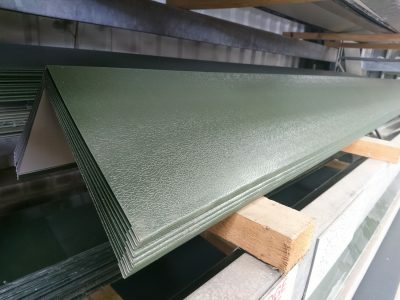 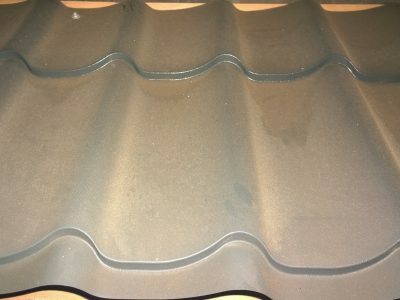 The main appeal of trimline gutter is its aesthetic quality as there are no visible brackets from the ground and the colours match the flashings or steel sheeting colour. 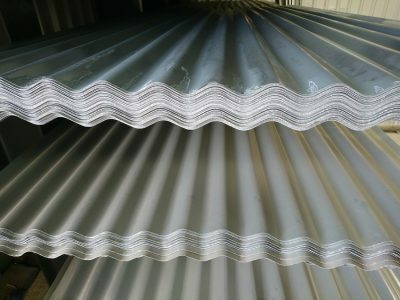 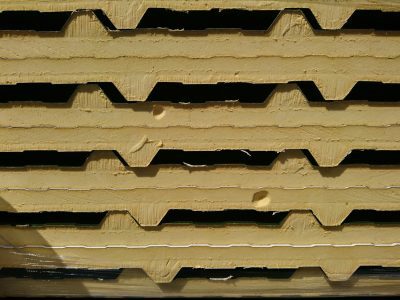 We carry a huge range of sizes to suit our 1000/32 box profile, traditional corrugated and Cemsix in heavy duty 2.4kg per square m weight GRP with a class 3 fire rating. 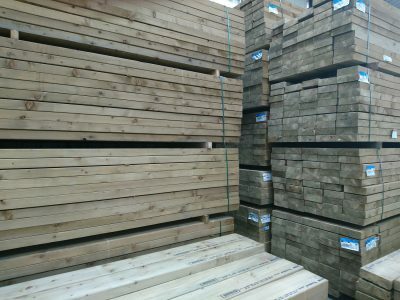 Thanks to our bulk buying we can offer unrivalled prices to yourself for any quantity large or small. 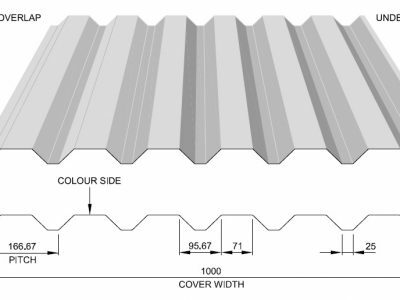 We also carry stock of ‘Vistalux’ corrugated pvc to suit the profile 3 fibre cement profile. 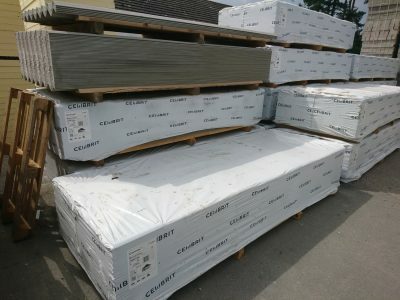 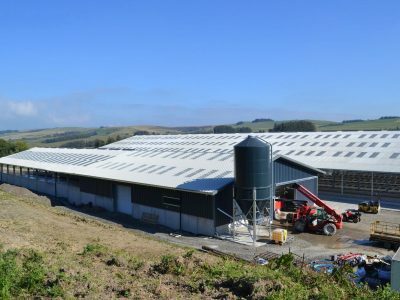 As agents and stockists of Cembrit fibre cement most products are available ex-stock from out Castle Douglas depot with special orders, ie painted products arriving in as little as 2 weeks. 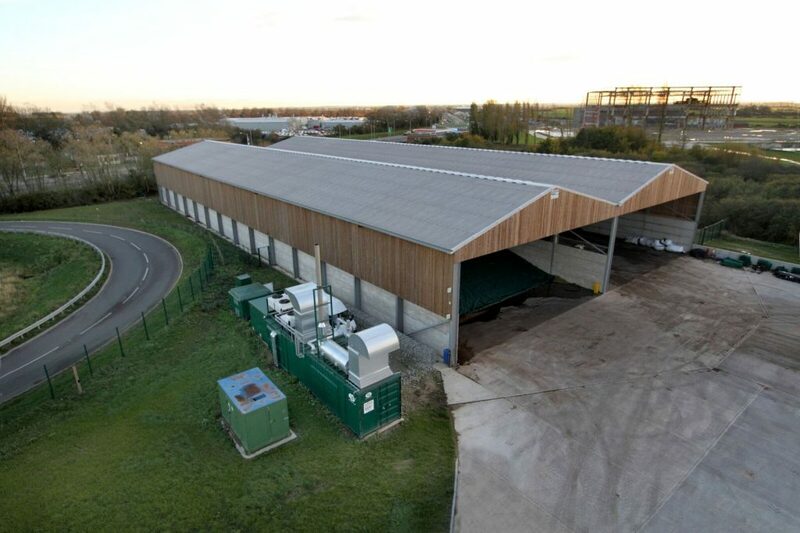 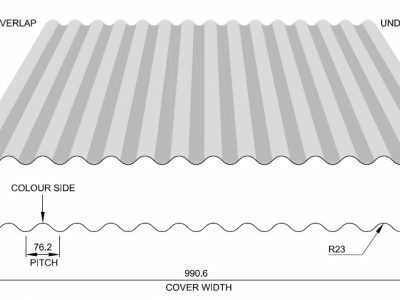 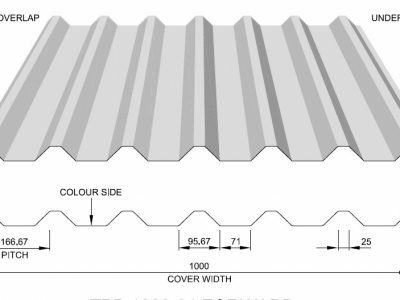 Cemsix corrugated sheets are produced in the traditional ‘big 6’ UK profile with polypropylene reinforcing strips for enhanced strength and safety. 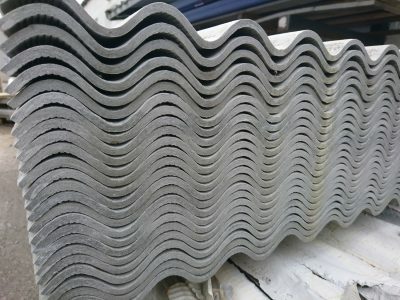 The main advantages of cement sheeting are reduced condensation, high level of corrosion resistance and acoustic performance. 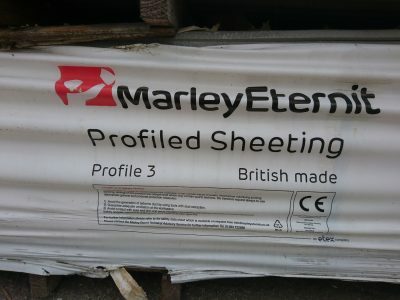 We also hold stock of ‘Marley-Eternit’ profile 3 sheets and fittings although these would only generally be used for repair work to existing roofs and not for ‘new-build’. 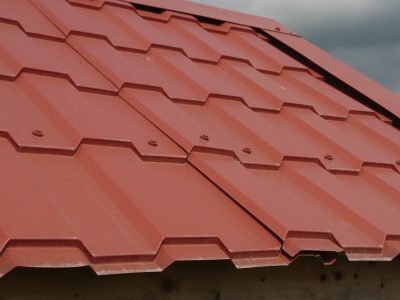 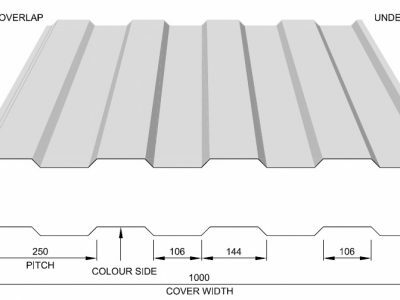 Available in all the finishes (polyester, plastisol and galvanised) all flashings are made to order although we do carry a range in stock of standard sizes and angles, all we require from yourselves is a sketch and we do all the rest! 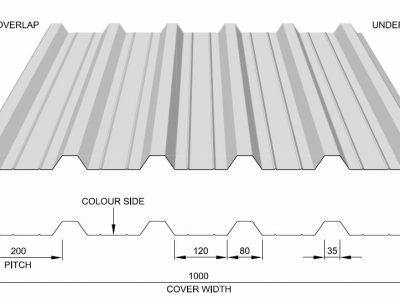 The ‘trisomet 333’ from TATA Steel is a robust made to measure insulated wall and roof panel system available in thicknesses from 40mm right up to 135mm thick depending on the u-value to be achieved. 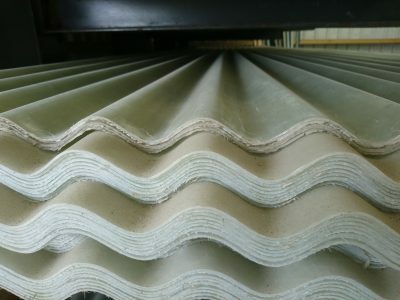 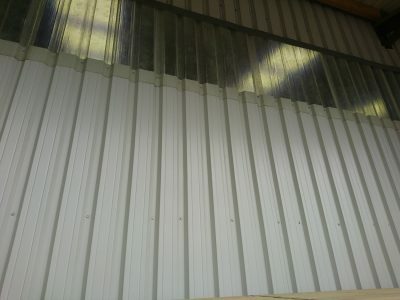 In addition to the range of colours and finishes we can also offer factory applied anti-condensation backing, ‘vented-tin’ to provide additional airflow within the building and curved sheeting for ‘dutch-barns’, pig arcs etc. 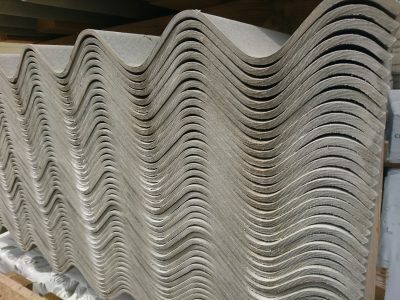 A more aesthetically pleasing profile available in square or wavy type tile effect available in most colours and is made to order to suit customers application. 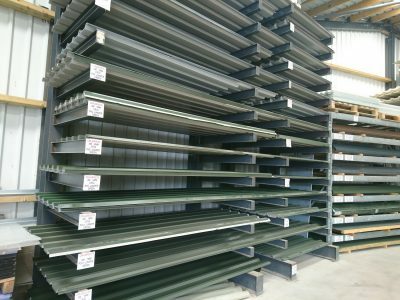 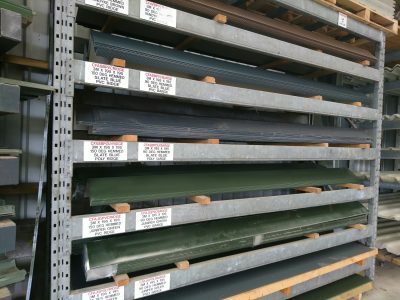 Profiled steel sheets are available in a wide range of colours, finishes, profiles and thicknesses depending on the requirements of the customer. 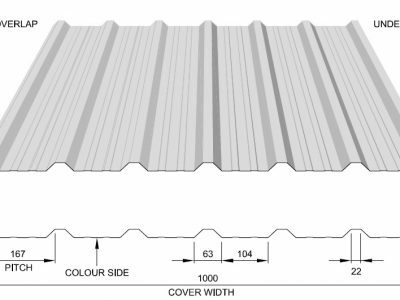 To save wastage and time on site most sheeting is made to order although we do carry a very large range in stock available for immediate use in ‘1000/32’ box profile and traditional corrugated. 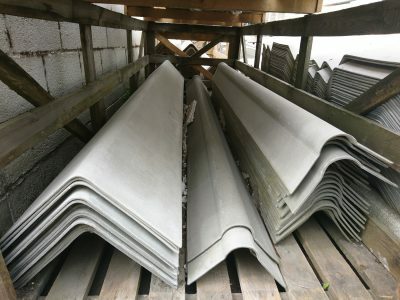 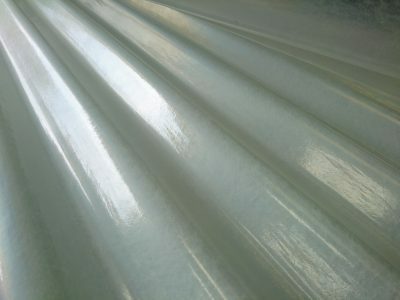 We also carry stock of flat sheets ideal for doors etc in plastisol and galvanised finish.